Hi again, writers! I sure have been posting a lot, haven’t I? In case you missed my last post, you can find it here. The Girl Who Frosts the Cakes (cover not final) is a 1940s historical fiction novel I wrote for NaNoWriMo in 2016. I announced the novel as a “Special Surprise” in March, and since then I’ve been rewriting, cutting, and adding to my story to get it ready for publication this October. In anticipation of that, I thought I’d introduce the novel to you! Because it’s been months since I announced it, and I’ve hardly brought it up since then. I won’t post any excerpts yet, because nothing in my current writing is final. However, I will talk about the 9 most important characters! I think that’s the best place to start. This is pretty exciting, huh? Well, I’m excited. So you’ll just have to bear with me. Mildred “Rosie” Fairbanks – the main character of the story, Rosie spends most of her time reading and working. Despite working in the bakery, she has always despised cake and icing, and she has no problem getting into trouble. She lives on the second story apartment in the family bakery, and her best friend is Billy Fuji. Leslie Fairbanks – Rosie’s older brother. Though Leslie typically puts work first, he is known for kindness. Once he is of age, he is to inherit the bakery. He lives in the upstairs apartment with his mother, aunt, and Rosie. Billy Fuji – Rosie’s best friend, who battles everyday racism in his town. Billy has a special love for dogs, Coca-Cola, and causing trouble. He lives in the country with his parents and seven siblings. Mary Fairbanks (AKA “Momma”) – Rosie and Leslie’s mother, Mary Fairbanks practically runs the bakery. She doesn’t have power to hire or fire employees, but she is almost always certain to have her way. She doesn’t bake cakes with her family, but instead does the tax and money work. She has no problem taking in minority employees, and lives in the upstairs bakery apartment. Minnie McKenna (AKA “Aunt Minnie”) – Rosie’s aunt and Momma’s sister, Minnie is known for her frosting skills in the bakery. She started moved in after Rosie’s father passed away, and hasn’t left since. 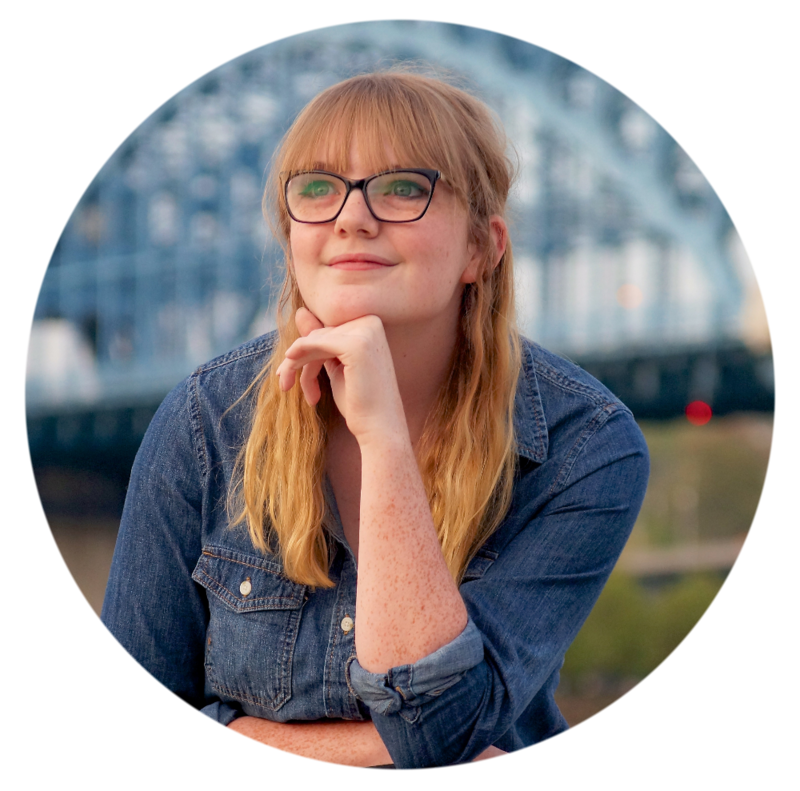 She is remarkably feminine, loves to read, and her faith is increasingly strong. Jack and Arthur Fuji are like sons to her. Frank Fairbanks (AKA “Uncle Frank”) – Rosie’s uncle and her father’s brother, Frank Fairbanks is the present owner of the bakery. Though his family and business reside in Alabama, his loyalty belongs to Georgia. He comes a couple of times a year to check in, leaving Momma to take control; he irritates her to no end, but loves his family. Jack and Arthur Fuji – Billy Fuji’s older brothers, Jack and Arthur are twins who are well loved by the Fairbanks. They started helping in the bakery at a young age, and began to get paid as they got older. Minnie McKenna is like a mother to them. Emma Bennett – a young employee in the bakery, beginning work at only sixteen. She is blind, but perfectly mobile, and capable of making a cake. She spends most of her time with the Fairbanks, rather than her own family, and works unpaid by request. Frank Fairbanks hired Emma’s cousin for work, and Emma simply tagged along. Please feel free to ask questions either here or on my novel’s page. I’m open to talk about my book, just so long as I’m not spoiling anything! 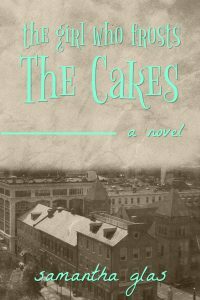 July 7, 2017 Samantha R. Glas"The Girl Who Frosts The Cakes"
I was so excited to read this! As a writer, I know what a big deal it is to share stuff about your books to people and wonder how they’ll react. But, as for me, I can’t wait to read it. It sounds like the characters are interesting and because of that, it’d make it a good book to read. I am seriously inspired by you writing a historical fiction book. I know how much research you have to do in a fiction novel, so triple that, and historical fiction is completed! Well done, Sam! You deserve a cupcake! I’m glad you’re looking forward to my book! It’s good to know months in advance that I’ve got readers. And yeah, historical fiction is awfully tedious; you’ve no idea the things I’ve got to Google for just half a sentence. It’s quite a jump, from fantasy to history. I’m grateful I decided to try it, though! But anyway: thanks for the encouragement, Aynsley! Thank you! It will be perfect for Christmas, won’t it? 😀 Haha. I love historical fiction! Can’t wait to read it! Me, too! I think you’ll love it!